2,4-dinitrophenol, or simply DNP to its friends, is a small, simple, innocent-looking aromatic compound which has been intentionally synthesised for a little over 100 years. It has industrial uses in wood preservation, as a dye, in herbicides, and photographic processing, but first came to the attention of medical practitioners due to its predominant use in the early 20th century – the manufacture of explosives and munitions for use in World War One. Munitions workers in France during WW 1 were noted to be at high risk of, well, mostly just dropping dead, often with rather high temperatures (no, not because they went kaboom), and eventually someone realised that occupational exposure to 2,4-DNP was a likely contributing factor. No-one really knew what the substance _did_ to humans, but it seemed clear there was a causal relationship, and the introduction of simple OH&S measures at French munitions factories handling DNP immediately and dramatically lowered the occupational mortality rate from 16.3 deaths per 10,000 tonnes of DNP produced, to 1.2 deaths per 10,000 tonnes. Still not great by today’s workplace safety standards, but in the 1910’s during the war to end all wars, and with pandemic influenza decimating the population, it’s probably not unreasonable that the powers that be considered this something of a win. In any case, society moved on to bigger and better explosives, and adverse effects of industrial exposure to DNP became a rarity. In 1933, a Standford University clinical pharmacologist by the name of Maurice Tainter noticed that DNP seemed to reproducibly increase basal metabolic rate in mammals, including humans, and in a moment of inspiration, thought this would be a cracker of a way to lose weight without actually doing any exercise. The idea was to take DNP as a “diet pill”, increase your BMR, thereby decreasing your BMI, all without getting off the couch. And, to be fair, it worked. People could reliably lose about 1.0-1.5kg per week taking the recommended dose of DNP, eat whatever they liked, and not increase their volume of exercise by one iota. In an interesting bit of lateral thinking, while no longer commonly used in ordnance, DNP also featured prominently in WW 2, with the Russian army distributing it to their soldiers fighting on the eastern front, to help keep them warm during the bitterly cold winter months; a few hundred tablets of DNP were a lot easier to distribute and carry around than a better overcoat, or expensive woollen thermal underwear. 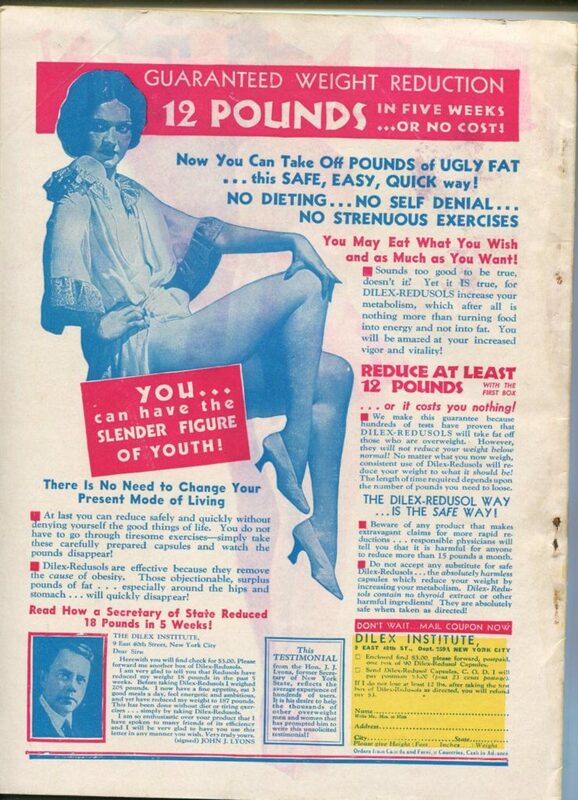 From 1933 to 1938, the use of DNP for weight loss took off, predominantly in the USA, with widespread advertising in newspapers and periodicals touting its efficacy, though not much mention was made of the potential deleterious effects one might encounter. The largely overlooked downside is that the therapeutic index of DNP is, much like those who’d been taking it for a while, a little on the thin side. The line between a clinically effective dose, and a lethal one, was a narrow one, indeed. With hundreds of thousands of tubby Americans jumping on the bandwagon, the number of deaths became significant, and other problems were noticed as well. The most prominent, and rather unexpected, adverse effect to come to light was the markedly accelerated development of premature cataracts in people taking the drug; young adults were developing symptomatic cataracts in the space of weeks to months. Happily, doctors and health authorities became aware of these issues, and in 1938 the FDA declared that DNP was “extremely dangerous, and not fit for human consumption”. Its use as a dieting aid came to a grinding halt, practically overnight. Fast forward to 1981, a time of 8-bit video games, bad hair, and entrepreneurially gifted but ethically bankrupt healthcare professionals. A Texas physician by the name of Dr Bachynsky set up a weight loss clinic, processed industrial DNP into tablets he called “Mitcal” and, touting it as “intracellular hyperthermia therapy” he sold it to over 14,000 hopeful patients, who were presumably blissfully unaware that DNP had been shelved, with good reason, a generation ago. Major adverse drug reaction reports started trickling in to authorities from 1982, and in 1986 the good doctor was banned from distributing DNP. Being nothing if not determined, he kept at it regardless, and was finally gaoled in 2008 after setting up a company marketing DNP in Europe as a cancer treatment to desperate patients. 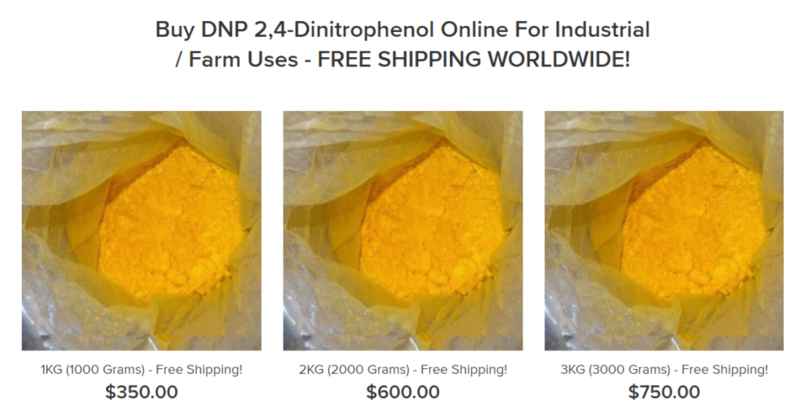 Despite Dr Bachynsky’s best efforts, however, there wasn’t really a significant resurgence of deaths from DNP until the early 2000’s, when through the miracle of the world wide web, all sorts of dodgy supplements and pharmaceuticals could be found relatively cheaply and regulation-free, online. DNP was, once again, the trendy new product on the block, and the third peak in the essentially trimodal temporal distribution of mortality from this drug kicked off in earnest. Again, authorities noticed, and in 2003 the UK Food Standard Agency announced that DNP was “not fit for human consumption” and issued a targeted warning to bodybuilders (identified as a high-use demographic) to stay away from the stuff. Despite the official cautions, in the last decade or so, there have been about 2 deaths per year in the UK directly caused by DNP, and a rather larger number in which the drug is thought to have played a significant contributory role. In 2018, DNP is widely available on the so-called “dark web”, as well as more mainstream places on the web at large. It can be found marketed alone, or in combination with other ingredients, in products such as: DNP (imaginative, that one), Dinosan, Dnoc, Solfo Black, Nitrophen, Aldifen and Chemox. It’s cheap as chips, and can be bought in bulk, either as an intended weight loss treatment already packaged into capsules or tablets, or simply in industrial quantities (typically as a powder) from chemical supply companies. So what does this stuff actually _do_, and why is it so dangerous? The short version is that DNP is an intracellular toxin that uncouples the TCA cycle from oxidative phosphorylation, letting the Kreb’s cycle spin like crazy without producing any ATP to show for it. 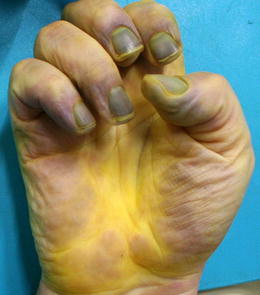 It also triggers release of Ca2+ from the sarcoplasmic reticulum, causing unintended muscle contraction. The practical upshot of these two processes is the production of a lot of waste heat, and a dose-dependent failure of aerobic metabolism. It actually causes an _increase_ in oxygen consumption, but a massive decrease in the amount of ATP produced, and disastrous consequences for all of the subsequent energy-dependent processes in the cell, and the tissues they comprise. The slightly longer version is that DNP, similar to many aromatic compounds, is a very effective ionophore. DNP’s particular talent is being a potent protonophore at the inner mitochondrial membrane. Carrying a slight negative charge, DNP is attracted to the slightly positively charged outer aspect of the inner mitochondrial membrane (read it again, I promise it makes sense) and also does a good job of attracting some of the abundant H+ ions floating about. Binding to a free proton renders the DNP electrically neutral, and it is then free to effectively dissolve into and through the lipid bilayer of the inner mitochondrial membrane (carrying it’s protonic passenger) and dissociates into DNP + H+ again on the other side. The once again slightly negatively charged DNP molecule is then attracted back to the outer aspect of the membrane by electrophoresis (remembering that even the somewhat charged DNP moiety is still an “almost neutral” aromatic molecule that is pretty damn lipid-soluble to start with). The process then repeats itself, and the same molecule of DNP continues to act as a reusable shuttle, rapidly and efficiently destroying the hard-won proton gradient in the mitochondria, rendering it incapable of converting ADP to ATP. What does this mean for the organism as a whole? The usual final common mode of death is cardiovascular collapse, though breathing can become problematic (including mechanical ventilation) due to muscular rigidity. Treatment is largely supportive, but one useful approach is to treat it like anaesthetic-induced malignant hyperthermia.